There was a point where the sundial evolved into the ticking clock, and a point where that one became digital. Here's the next iteration. 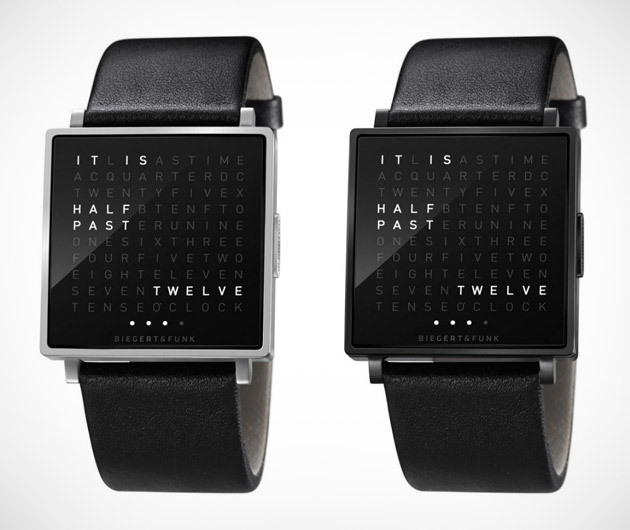 The Biegert & Funk QLOCKTWO W tells time in words. Take a look at the face and you'll get it immediately. It couldn't be simpler, and yet the QLOCKTWO W is a clever, graceful, and new way of telling time.